Our Dublin electrical contractors can take on projects of all sizes, so never feel that your project is too small for us. Irrelevant of the size of the job we always apply the same care and attention to detail ensuring that we provide the best value and highest quality electrical services throughout the county. 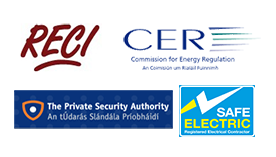 Are you Dublin electrical contractors or Dublin electricians? This is a question we sometimes get asked, we are actually both. The difference between being an electrical contractor in Dublin or a Dublin electrician is an electrician is seen as an individual tradesman and an electrical contractor is a company that employs electricians. Although we employ a number of RECI certified electricians we don't just undertake large electrical contracts. These are obviously a large part of electrical contractors Dublin business but we still always have time to send one of our team for all the smaller jobs and emergency situations. 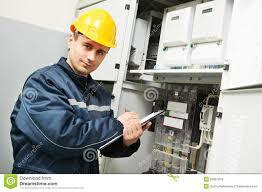 What to look out for when hiring Dublin electrical contractors. Are their electricians RECI certified? Are they a well regarded and established company? Are they reliable and will finish the project in the specified time frame? Is their work to a high standard? Do they have comprehensive insurance? Do they have excellent communication and customer service? We have been established for over 25 years and all of our team are RECI accredited and we take on work for social housing and other large clients. We take pride in the fact we provide excellent customer service and that our prices are always affordable. In fact we are that confident in our prices we are very happy to offer free quotes on any work required with no obligation attached. Our staff are ultra reliable and you can guarantee on us adhering to specific time frames on all projects as required. As we know we provide only the highest quality electrical services we happily provide a standard 1 year parts and labor guarantee. For all our clients peace of mind our team of Dublin electrical contractors are insured to the sum of €13.5 million euros. For a quote on any electrical services you may require call your local team at electrical contractors Dublin on 01-6874854, we would be happy to help.